I was just browsing the gaming blog, Kotaku, and saw this rather interesting tidbit. 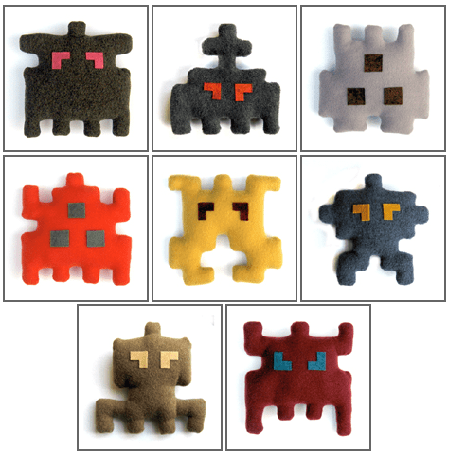 Indie plush toy artists Amy and Jude Buffum have made a series of eight Space Invaders plush toys for their in a limited edition of 25 for each set. They are available from Art Star Gallery & Boutique for a price of $25US each.